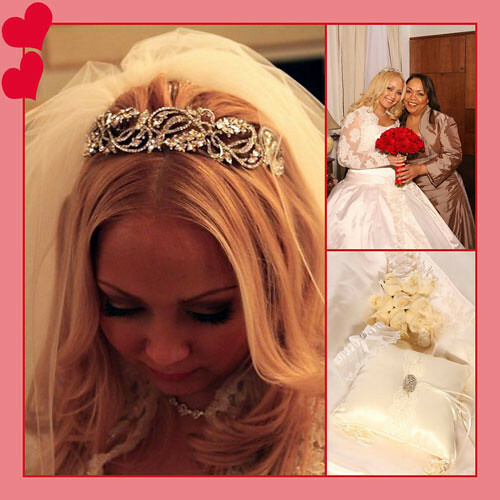 « Bridal Styles Valentines Day Sale! Since their anniversary was February 1, Yedenny and Kevin chose Valentine’s Day 2010 for their wedding date, perfect for the color to which she was drawn! “I decided on the color red, because to me it means passion, love, romance, and it was a winter wedding.” Red and white wove an elegant Valentine’s Day thread throughout their wedding day, including a dusting of rose petals on the cake and MIKASA crystal heart jewelry box favors. By the time their wedding day drew near, everything was in place. Their local church, Blessed Sacrament, and Terrace on The Park were booked. All their vendors, from Metro Floral Decorators and US Open Limousines to make-up artist Lilly Rivera (from My Fair Wedding with David Tutera) and photographers Pinilla Studio were scheduled. The only thing that threatened not to cooperate was the weather. Fondest memories for the bride and groom? What advice do Yedenny and Kevin have for couples planning their own weddings? 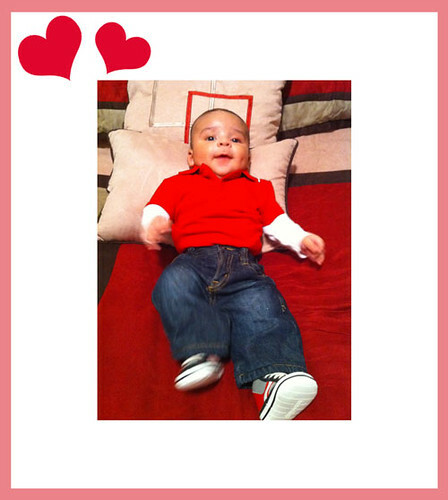 Yedenny & Kevin’s Valentine’s Day baby boy, Joshua Kevin! This Bridal Styles wedding story ends with even more happy news…Yedenny and Kevin are the proud parents of an adorable Valentine’s Day baby boy, Joshua Kevin! Congratulations to you both, and best wishes to you and your beautiful family! This entry was posted on Monday, February 14th, 2011 at 10:41 am	and is filed under A Wedding Story. You can follow any responses to this entry through the RSS 2.0 feed. You can skip to the end and leave a response. Pinging is currently not allowed. We are so pleased that you featured our story and our family on your website! We have been sincerely moved by your choice of words in describing our love for each other. It doesn’t feel like its been a year. However, it’s been a remarkable experience and we look forward to many more years to come.